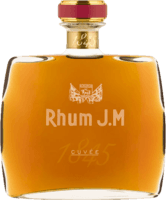 Have you found an online vendor selling Rhum JM Blanc? I'm still pretty new to agricoles. Have sampled one or two each of Clement, Damoiseau, La Favorite, Duquesne, Neisson, and a few non-Martiniques. But still not enough to have a solid understanding of the category. From what I've tried from Rhum JM, they seem to me a solid, "standard/baseline" for AOC agricoles. This is so far the grassiest I've tasted—a common adjective for the broad category. They are also quite drinkable. Being unaged, it's a little rough around the edges, but not overly so (especially for a 100-proof spirit). Not too rough, not too smooth. The nose also brings a good amount of salty brine, and some alcohol. I'm impressed with this rum, but not blown away. I'll give it an 8 now, but may take that down as my tastings increase. This is going to the other extreme with me finding out that rhum agricoles need to be kept from aging too long in oak barrels because they absorb too much of the woody flavor and wind up becoming gluten free bourbons. The aroma is very similar to a cachaca and the taste is lots of pepper on the tongue with no after burn or bitterness. It does not even rank among my best rated cachacas. This one is only good for Ti Punch, but ice cubes do tame it down. Don't even think of sipping it neat. For only $30 US for one liter, it still is not a good buy. One other good thing about rhum agricole blancs from Martinique and artisinal cachacas from Brazil is that no hangover can be expected. As you can see, I rank them in the same class. However, with the taste of this rhum, I seriously doubt that anyone could drink enough to see if there is actually no hangover the next day. With this one, you are much better off with the taste of Avua Prata Cachaca or Neisson Rhum Agricole Blanc. However, as bad as I now make this one sound, it is still a lot better than anything by Bacardi or Captain Morgan, thus retaining my original ranking of 6. Visited the Rhum JM distillery while vacationing in Martinique. Self guided distillery tour ended with an open tasting bar. Rhum JM Blanc 50 was priced at EUR 12 per bottle at the distillery. Very nice and sturdy bottle design with a great old school label. Traditional super dry Rhum Agricole flavors complemented with plenty of grass and a lot of floral notes to the nose and palate. Surprisingly strong burn at the end since its so dry. Rhum Agricole fan boys can easily add 2 points to my score. Awesome nose. Light funk, underripe banana, grassy, lightly herbal. Sweet at first then quite dry across the tongue, finish has all the vegetal and herby sweet notes. Overall a very nice unique agricole. Would be awesome in a ti punch or rum old fashioned. You could sip it if you like but I really frel it would shine an a very simple 2 or three ingredient cocktail. The 100 proof packs a good deal more flavor and aroma (I would recommend it over the 80 proof). For those that are new to Agricoles, they are a product of the "French Islands", such as Martinique and Haiti. They are fermented from freshly pressed cane juice as compared to molasses. The result is green vegetal, mineral, and grassy flavors, and a unique punchiness and pungency... I get fruity flavors and an aroma that almost reminds me of pink starburst. The signature drink is a Ti Punch (A piece of lime, cane syrup, and rum over ice), which is really quite good with this rum. Also excellent neat, in my opinion. It's classic agricole with pretty strong flavour. Great for ti punch. Salt—and pepper! Grass, hint of sugar. P: very dry. more salt, more pepper. After breathing: quite a bit better. Less pepper, less salt, but still pretty briny, especially in the nose. Much smoother, but still not my style. I tasted it the day after having tried the white Clement, and it is clearly a note under. Smell and flavor from an Agricole but too mild. One thing though, amazing sweetness with zero after burn. Can't say I recommend. Sharp, painful, alcoholic. Für meinen Geschmack viel zu scharf. Die 50% spürt man deutlich. Wenig Süße. Etwas Bitternote im Nachhall. 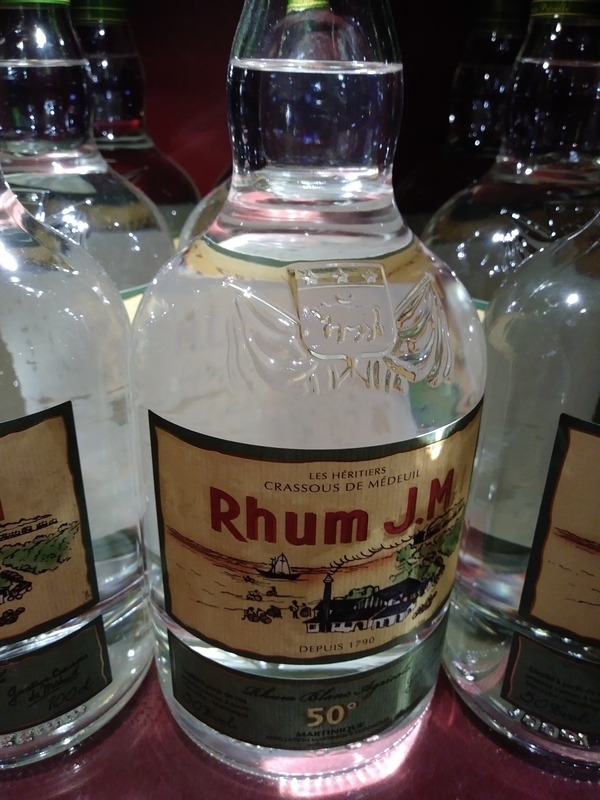 Le rhum JM fait partie des bons rhums pour boire en ti'punch et en planteur. Avec ce blanc, en dégustation sec ou en ti punch, c'est toujours un délice. Láhev rumu J. M. Rhum Blanc Agricole AOC je opravdu masivní a velmi elegantní. Vůně rumu není příliš výrazná, spíše jen v náznaku dává znát svůj sugar cane původ, ale znalec ji rozpozná a identifikuje. Chuť je plná, zemitá a kořeněná, ale krásně se rozlévá po jazyku. I tried this one in a rum fest so it has been drunk neat... I don't recommend that! Very strong, alcohol taste is harsh. Should be more appreciated in Ti punch cocktails. Comme d.habitude, je préfère ce rhum blanc en cocktails. Un bon rhum blanc, un des plus appréciés avec le Neisson. Bonne odeur fruitée, sympa en punch. Not for the faint of heart. This is a drink you really have to be a rum or rather Rhum lover to enjoy in any capacity. I give this a 7 straight up. It has flavors that come from a different direction. It also has a slight burn to it which lowers its overall score. I drink this straight up with any smoke and it alters the flavor of the smoke. It is a decent rum I can't recommend this to anyone but a connoisseur of fine flavors and difference of opinion. Very strong flavors in this rhum. This is perfect for ti punch! and as most rhum agricoles, mixes perfectly well in tiki drinks. Si vous devez préparer des Mojitos ou plus traditionnellement des Ti Punchs, c'est le rhum qu'il vous faut. It's my number 2 in agricole white rums. From Martinique, like the NEISSON, it's perfect for Ti-Punch!